→ Encouraging the development of maritime clusters in the Channel area, both on cross-border basis but also within and between regions, by making companies aware of the benefits of cooperation and the exchange of best practice. promote exchanges between businesses through a directory and a discussion forum. The marine and coastal leisure tourism sector is an essential component of the Channel area’s maritime economy and its marinas could be best placed to encourage the development of local and cross-border clusters. Specific work has, therefore, been undertaken to identify the current and future needs of the sector. In-depth interviews took place with key stakeholders which led to the development of a "best practice guide" which included recommendations. This guide aims to encourage the development of the marina sector in the Channel area by 2020. This activity has also laid the groundwork for a Channel wide marina network. 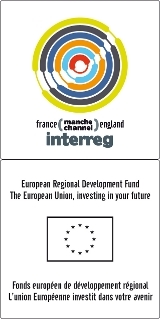 Various events have been organised, particularly in Devon and Upper Normandy, to encourage collaboration within the maritime sector. The events have been well-received by companies involved and have demonstrated great potential for the development of maritime clusters.